ARTAOS + TISA: Augmented Reality (AR) Mural Work/Study Project providing real-world community focused learning of STEAM skills. Science + Art + Technology + Community = Real world experiences for youth. In 2014 Social Media Workgroup received its first Americorps/VISTA grant to launch the STEAM NM initiative: Building Capacity for STEAM Education in New Mexico. Now in 2017 expanding into third year with VISTA. We are excited to announce the launch of a STEAM Innovation Lab at the Taos Integrated School of the Arts in Taos, New Mexico. 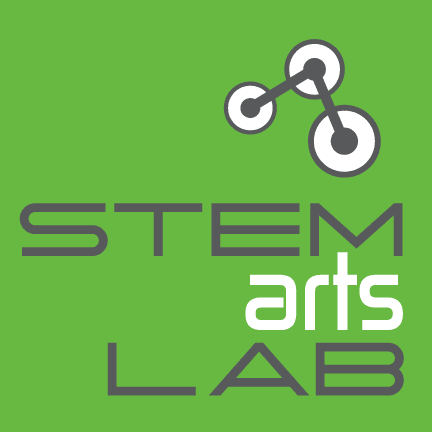 STEMarts LAB + TISA = A radically new STEAM LAB for Taos students and teachers joining Science, Technology, Engineering and Math with Community Engagement. Students from Tracy Gallighan Computer class at Taos High School coded with Netlogo for a unique projection mapping station. Invent Event at Enos Garcia Elementary. Water is Life: Standing Rock project provided a real world understanding of this core concept through art and direct social engagement. Serving as Americorps VISTA: Developing STEAM skills and exploring new roles for the artist in our society. A visit to the Oceti Sakowin Camp at Standing Rock has inspired a new STEAM curriculum for youth. STEMarts Lab + CERN: Particle Physics Research + New Media Art + Interdisciplinary Collaborations = Engaging Our Future Leaders in Applied Learning. 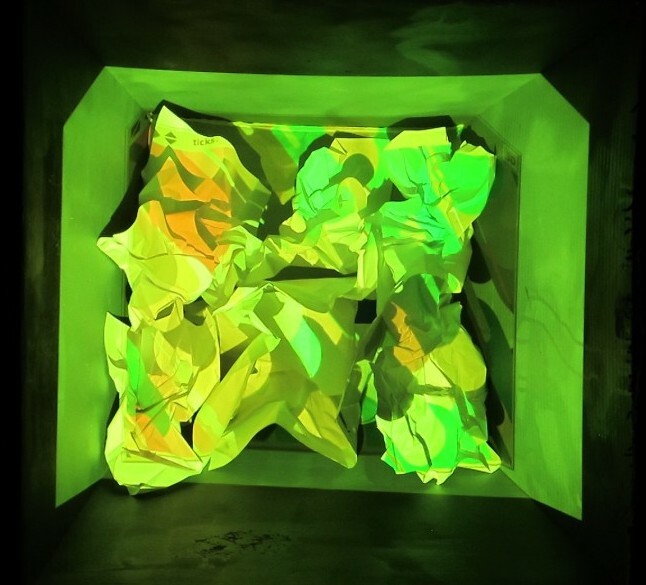 PASEO 2015 Artist: Vanessa Ramos-Velasquez, Microscopic manipulation of substances and organic materials + live video creation. CERN RESEARCH STAY: Agnes Chavez Research Stay and collaboration with Dr. Steven Goldfarb at ATLAS Experiment CERN. The “Solar-Powered Village” brings Taos County youth and UNM students together to engage with local energy topics. Projecting Particles: Particle physics and projection art merge to engage youth. 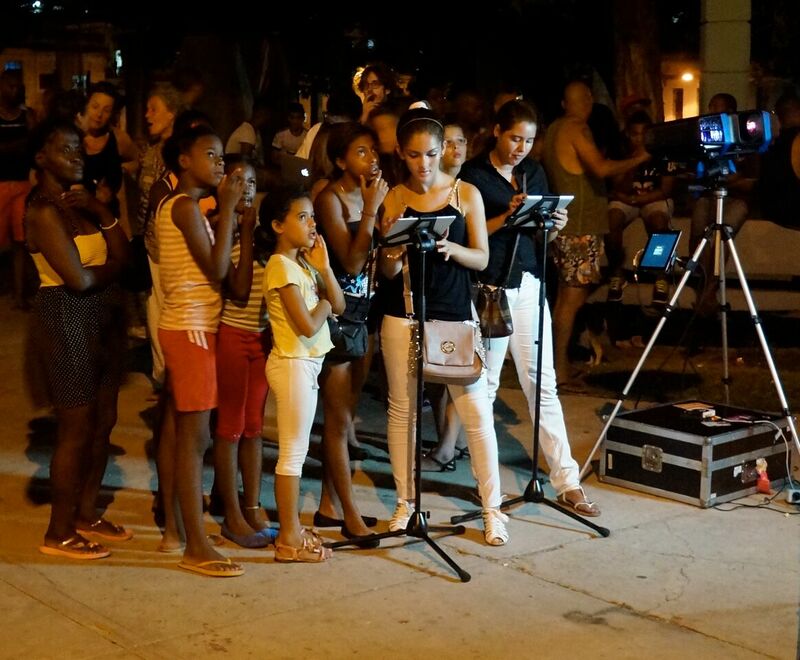 Origination Point: A generative interactive projection installation originally exhibited at the 12th Havana Biennial in Havana, Cuba.